I am running to address at least four central challenges of our Ward that, if solved, will help sustain the future of our city: affordable housing, building community wealth, true public safety through police accountability, and transportation and sustainability. I’m running for city council to be a leader for the future of our city - and that means creating more inclusive neighborhoods through safer, friendlier streets and more ways to travel them. I’m running for City Council to address our citywide affordable housing crisis. This issue deserves proactive leadership with empathy, urgency, and tangible solutions that ease the costs of rent and homeownership in our city. Today, Mayor Melvin Carter endorsed Mitra Jalali Nelson in her campaign for Saint Paul City Council. Mitra is running to replace former City Council President Russ Stark in Ward 4. Carter said he’s excited to see a strong candidate who would bring new, progressive leadership. My name is Mitra Jalali Nelson, and I live in a household where I support my family as the primary income earner – something I have done on and off for the past 10 years. My immediate relatives who depend on me aren’t able to participate in the workforce full time. The weight of our family’s financial burdens falls on me. Where should we build new, affordable housing to help meet the growth in our city? What should happen to that abandoned parking lot near my house? How can our public parks better promote racial equity? How can we have a say in the projects that are being proposed in our neighborhoods? 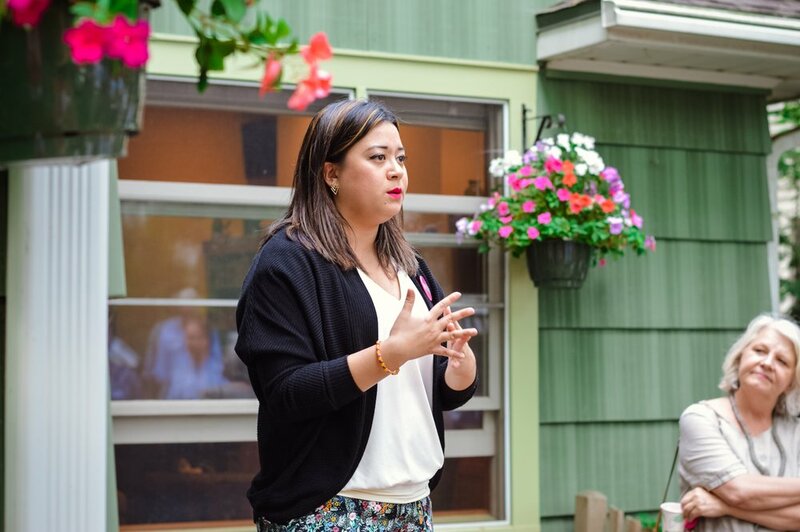 On February 7, 2018, Mitra Jalali Nelson formally announced her candidacy for Ward 4 on the Saint Paul City Council. A lifelong Minnesotan, Nelson’s motivation for running centers on the need to make Saint Paul a city that works for everyone.